Corruption is conditioning. In the world’s most notable mafia sporting organisation, it should barely register a shock that FIFA’s Secretary General has been fiddling with tickets. To be precise, Jérôme Valcke is said to have been involved in email traffic with former Israeli footballer Benny Alon which speak of the sale of 8,750 tickets for 24 top notch matches at the Brazil World Cup. Such a procedure would have been in breach of FIFA’s own ticketing rules. Alon, who has buttered his bread as a ticketing and hospitality agent since 1990, was forthcoming to the Daily Mail. Presumably the prosecution bonanza regarding FIFA executives had triggered his interest. “I told him that we’d like tickets to three Germany matches, and all the matches Brazilian might play.” From these games, so called “the crème de la crème” assortment, “we could make a good amount of money from selling these tickets”. Both, Alon alleges, would then split the profit. The tickets would initially go to Alon’s JB Sports Marketing (JBSM). As the Independent points out, an eight month period seems to have elapsed between the point Valcke shows knowledge about the arrangement of the tickets being sold at such inflated prices, and the withdrawal of the deal. This by no means is the end of it, and the email exchanges point to failed meetings over money transactions that did not eventuate. Valcke found himself in the rather dense woods of FIFA corruption when his name was found at the end of an email licensing a $10m payment to the Caribbean Football Union for a so-called “African Diaspora Legacy Programme”. The money would come from FIFA’s coffers, and was linked to the South Africa World Cup. So far, he has been spared the grief given many of his colleagues. 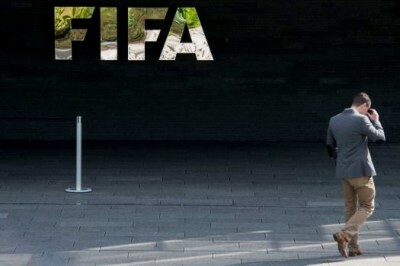 The FIFA corruption dossier is getting thicker as the assortment of US and Swiss authorities get deeper to the labyrinthine structure of deals and “understandings” that characterise the organisation. Even those touted as being potential brooms for the task of cleaning up the organisation in a post-Blatter sweep have been arrested. Jeffrey Webb of the Cayman Islands, a FIFA vice president, was one such character. In FIFA, even the brooms tend to be very used. The wheels of prosecution are also turning in the extradition stakes. This week, the Swiss Federal Office of Justice approved the extradition request of another former FIFA vice-president Eugenio Figueredo to the United States to face corruption charges relating to the sale of marketing rights covering the Copa América tournaments in 2015, 2016, 2019 and 2023. He had formerly been president of the South American confederation Conmebol. On Monday, US Attorney-General Loretta Lynch, who has shown a terrier-like disposition in the effort to bring the organisation to book, promised that the number of arrests would balloon, depending on the trail of evidence. These would add to the number from May 27 when FIFA executives were dramatically marched out their hotel in Zurich in a dawn raid. But the emperor in question, that biggest of fish Sepp Blatter, is not necessarily on that list.